Bijsterveld, Karin. Mechanical Sound: Technology, Culture, and Public Problems of Noise in the Twentieth Century. Boston:Massachusetts Institute of Technology, 2008. Bragdon, Clifford R. Noise pollution: The unquiet crisis. Philadelphia: University of Pennsylvania Press, 1971. Casey, J., James, P., Morello-Frosch, R. (2017). “Urban noise pollution is worst in poor and minority neighborhoods and segregated cities” The Conversation. October 5. Coates, Peter A. “The Strange Stillness of the Past: Toward an Environmental History of Sound and Noise.” Environmental History 10, no. 4 (October 2005): 636-665. Firestone, Jeremy and Jarvis, Christina. “Response and Responsibility: Regulating Noise Pollution in the Marine Environment.” Journal of International Wildlife Law & Policy 10, 2 (2007): 109-152. Goines, Lisa, and Louis Hagler. “Noise pollution: A modern plague.” Southern medical journal 100.3 (2007): 287-294. Hildebrand, James L. “Noise Pollution: An Introduction to the Problem and an Outline for Future Legal Research.” Columbia Law Review 70.4 (1970): 652-692. Maisonneuve, Nicolas, et al. “NoiseTube: Measuring and mapping noise pollution with mobile phones.” Information Technologies in Environmental Engineering. Springer Berlin Heidelberg, 2009. 215-228. Neitzel, R. L., Hammer, M. S., & Swinburn, T. K. (2015). Assessing hazardous noise pollution in the United States. The Journal of the Acoustical Society of America, 137(4), 2279-2279. Ritts, M. (2017). 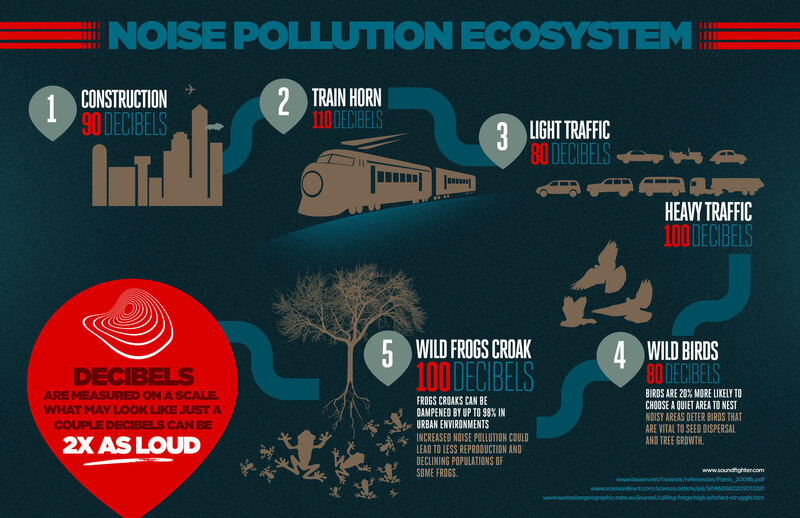 Amplifying Environmental Politics: Ocean Noise. Antipode 49(5): 1406–1426. Robinson, Douglas William. “The concept of noise pollution level.” Journal of Occupational and Environmental Medicine 13.12 (1971): 602. Sebastianutto, Linda, Michael Stocker, and Marta Picciulin. “Communicating the Issue of Underwater Noise Pollution: The Deaf as a Fish Project.” The Effects of Noise on Aquatic Life II. Springer New York, 2016. 993-999. Shapiro, Sidney A. “The dormant Noise Control Act and options to abate noise pollution.” The Journal of the Acoustical Society of America 91 (1992): 2327. Singh, Narendra, and S. C. Davar. 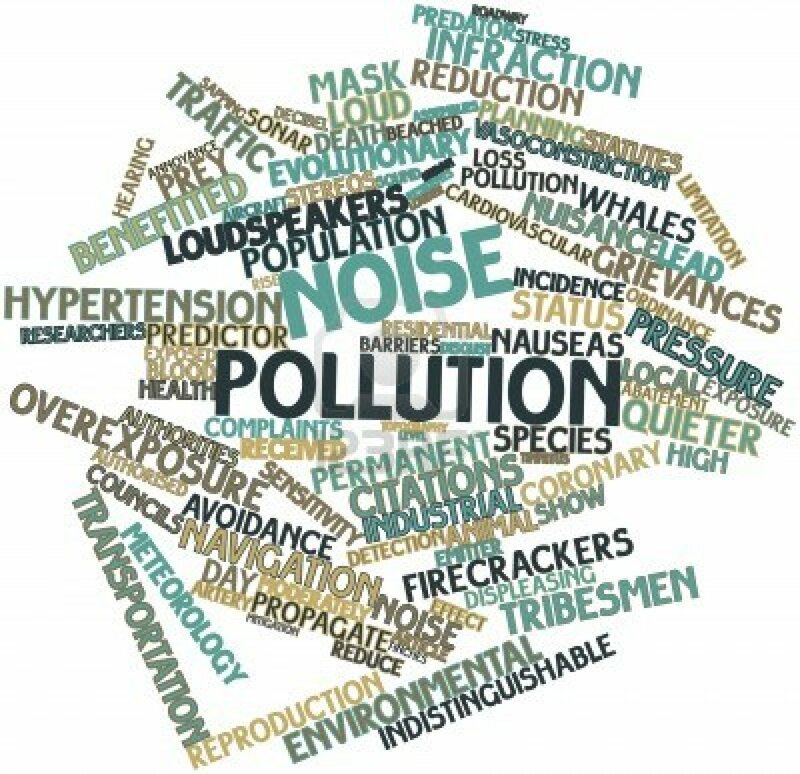 “Noise pollution—sources, effects and control.” Journal of Human Ecology (Delhi, India) 16.3 (2004): 181-187. Smilor, Raymond Wesley. “Personal Boundaries in the Urban Environment: The Legal Attack on Noise: 1865-1930.” Environmental Review 3 (1979): 24-36. Smilor, Raymond Wesley. “Toward an Environmental Perspective: The Anti-Noise Campaign, 1893-1932.” In Pollution and Reform in American Cities, 1870-1930, edited by Martin V. Melosi, 135-151. Austin: University of Texas Press, 1980. Keyes, Sarah.“’Like a Roaring Lion’: The Overland Trail as a Sonic Conquest.” Journal of American History 96, no. 1 (June 2009): 19-43. “Silent London” by Simon Elvins, 2005. 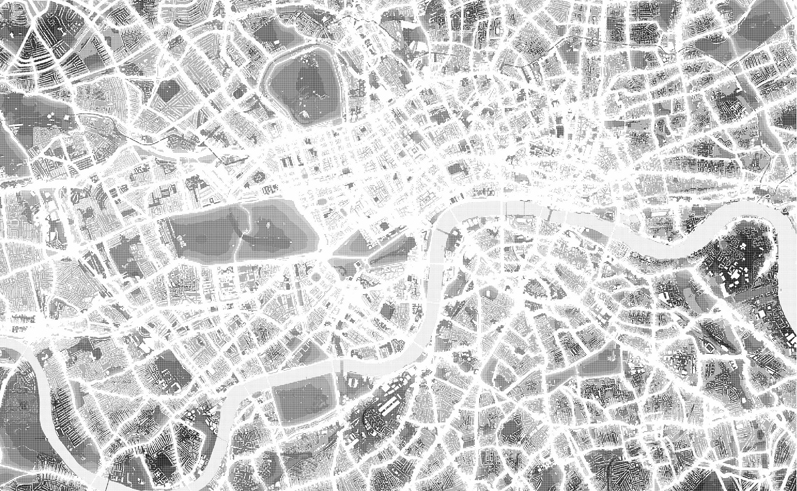 Using information the government has collected on noise levels within London, a map has been plotted of the capitals most silent spaces. The map intends to reveal a hidden landscape of quiet spaces and shows an alternate side of the city that would normally go unnoticed. This entry was posted in Aesthetics, Technology, Waste and tagged bibliography, noise pollution, sound studies. Bookmark the permalink.